This is a recipe for vegetable soup using vegetables available in April. the top. Reduce heat and simmer for an hour. About 10 minutes before serving, add in spinach, sugar and vinegar. Cover and simmer for another 10 minutes. Add salt and pepper to taste. 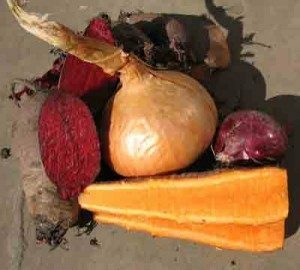 This is recipe makes a nourishing vegetable soup using vegetables still available in the garden in April.